I have, over the years, used several drills, but did not expect Ryobi to deliver perfect performance with their P1811 model. Whenever I review drills, I typically look for the price tag, the ease of use, the versatility of the gadget, as well as how easy it is to operate for persons planning to purchase a drill for the first time. I have to admit that the Ryobi P1811 scored heavily on all departments, as you will find out when you go through our Ryobi 18V Cordless Drill Review. 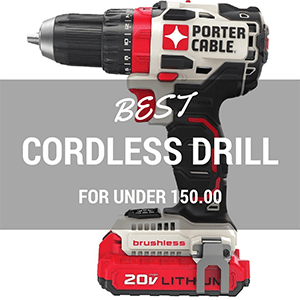 To begin with, I prefer cordless drills as they provide me with more flexibility and prevents accidents caused by tripping o the power supply cord. Such gadgets also permit me to work effortlessly in places where no power outlet is available close to the working spot. Although this drill is not as fast or powerful as some other drills, it compensates for the same by its comfortable design and an abundance of convenient features. Q: Do I have to purchase a charger? A: No, the unit ships with a charger. Q: What are included with the drill? A: The drill ships with two batteries, a carrying case, and a Philips bit. Q: Does it only support lithium batteries? I fell in love with this device at first sight and would have given it a perfect score had it not been for its low torque and rotations per minute. No doubt, this tool is quite effective, but one needs to work a bit more to drill holes. This model offers dual speed settings of 440 RPM and 1,600 RPM. An adjustable clutch offers users 23 different positions to adjust the torque. This is an excellent feature as it prevents the user from damaging the working material as well as provides them with lots of control. While the 340 inch pound torque is not too much, it can still power the drill for many tasks. Unlike other drills, one can use both Nickel Cadmium as well as Lithium Ion batteries for powering this device. As the unit ships with two batteries, you can charge one while using the other. The unit runs for 45 minutes on a fully charged battery… a factor that few drills in this category and price range can boast of. The included user manual contains a wealth of information about how to use the drill as well as how to maintain it properly so that it provides many years of faultless service. A fully charged battery lasts for 45 minutes, which is amazing, and easily puts it in the top of the league. 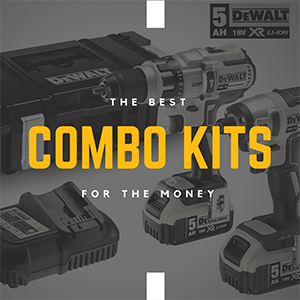 As the manufacturer provides two batteries with the drill, you can charge one (takes less than an hour) while using the other. Both hobbyists as well as professionals can use this device thanks to its light weight, compact design, and ease of use. This model by Ryobi uses a convenient half inch keyless chuck, a feature typically found on high end devices. It also contains a magnetic holder that allows the user to store dill bits. The company, apart from offering a three year limited warranty also provides a 30 days satisfaction guarantee. If you are not satisfied with the device, return it within 30 days to get full refund. The pocket friendly price of this tool makes it appealing to both professionals and DIY enthusiasts. There have been complaints of users paying for a brand new device and receiving a “refurbished” one instead. I suggest buyers to check if the title contains the term “refurbished.” If it does not, and the product is refurbished, demand a refund. The manufacturer should have mentioned the chuck size in the specifications, which it does not. I was also peeved by the fact that the unit shipped with a solitary bit. This means that I have to spend more to purchase additional bits. The carrying case is too small and barely holds the device and the batteries. What do users say about this drill? 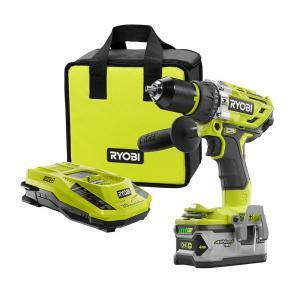 Judging by the rave feedbacks on large online retailers, it seems that the Ryobi P1811 is the hands down winner. Easy to use and cheaper than other drills in its class, you should purchase this particular model. I have authored many cordless drill reviews, but found this model by Ryobi far ahead of the rest, especially when one considers its friendly price tag, and its ease of use. I suggest it strongly for both novices and professionals.